The only good thing about this "hat" pattern is that it reminded me of this video. Yes, it would do well for Halloween. 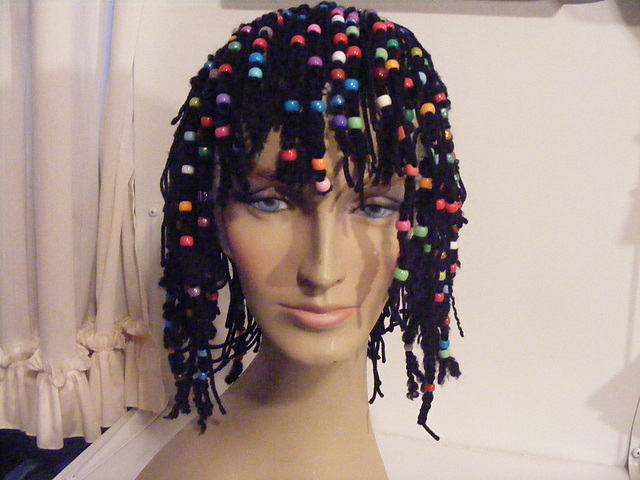 I know I've seen a knitted Egyptian-style wig, too-- wonder whether I could find that pattern? Halloween is coming. I can actually see a (limited) use for this hat, rather than some of the other stuff that has been posted. *ROFL* You guys say "WTF"? I say, this is exactly what I was looking for!!! classic ~ I miss Dave Chappelle! Oh, that's awesome! I love Dave Chappelle.